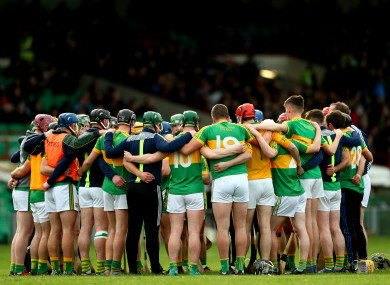 Clonoulty-Rossmore pictured before their Munster SHC semi-final against Na Piarsaigh in November. THE DRAWS FOR the 2019 Tipperary county senior football and hurling championships were made on Monday evening. Defending hurling champions Clonoulty-Rossmore have been drawn in Group 2 alongside Toomevara, Borris-Ileigh and Moycarkey-Borris. Group 1: Nenagh Éire Óg, Loughmore-Castleiney, Upperchurch-Drombane and Burgess. Group 2: Toomevara, Clonoulty-Rossmore, Borris-Ileigh and Moycarkey-Borris. Group 3: Thurles Sarsfields, Kilruane MacDonagh’s, Éire Óg Annacarty and Killenaule. Group 4: Kiladangan, Drom & Inch, Roscrea and Portroe. Group 1: Clonmel Commercials, Arravale Rovers, Galtee Rovers and Moyne-Templetuohy. Group 2: Ardfinnan, Ballyporeen, JK Bracken’s and Kiladangan. Group 3: Loughmore-Castleiney, Kilsheelan-Kilcash, Cahir and Aherlow Gaels. Group 4: Moyle Rovers, Killenaule, Éire Óg Annacarty and Upperchurch-Drombane. Join us to preview the Six Nations with Simon Zebo, Murray Kinsella and Gavan Casey on Thursday @7pm in Liberty Hall Theatre Dublin. Email “Here are the draws for the 2019 Tipperary senior county championships”. Feedback on “Here are the draws for the 2019 Tipperary senior county championships”.